HOW AMAZINGLY COOL IS THIS NAIL POLISH?! I can't get over how good it looks, just been staring at my hands a bit more than a normal/sane person should, haha! I don't think the pictures do it justice though, it so much more matte and so much cooler in person! 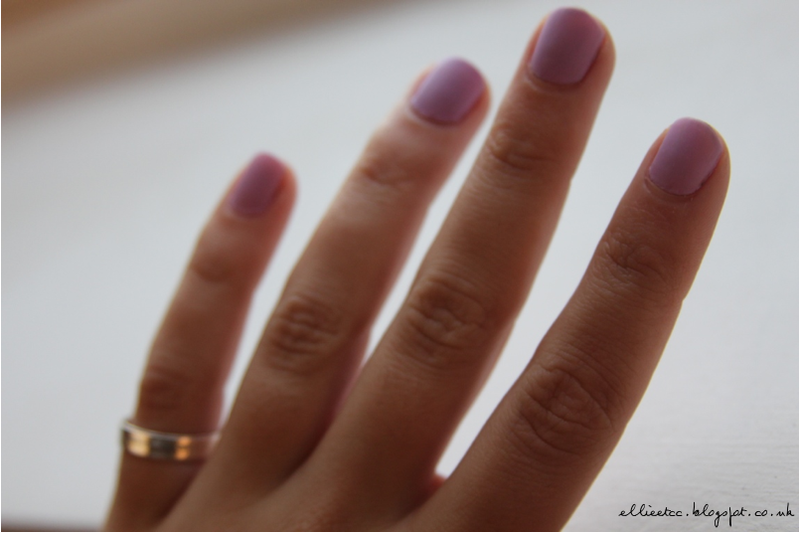 I do have a little confession though, it's not actually my nail polish (wahhh :(). My fabulous cousin is staying with us while she does an internship, so it's borrowed off her - I'm definitely sold on it though. 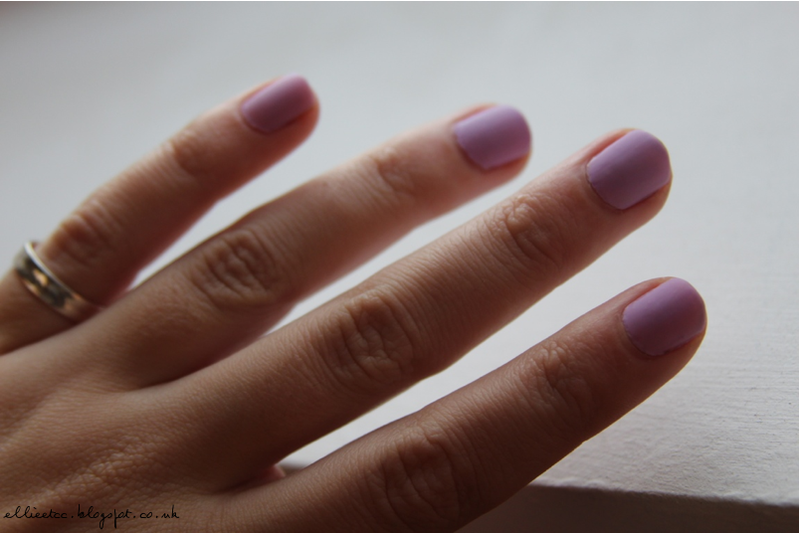 It's just a top coat, so I thought I'd go simple with my first experiment with it by just using this lilac Barry M number underneath (which matches my new theme hehe). The only slight little niggle I have with it, is that it seems to wear off quite quickly. I took these pictures a couple of days ago and they're looking a tad shiny now today. However for H&M, and only a few pounds (I'm not sure on the exact price), I'm not too bothered. Nothing another coat won't fix! I'm literally off right now to go and try out different colours and experiment with it a bit more. I'm thinking matte black base layer, and then a french tip of shiny black - being the cool chic gal that I am! 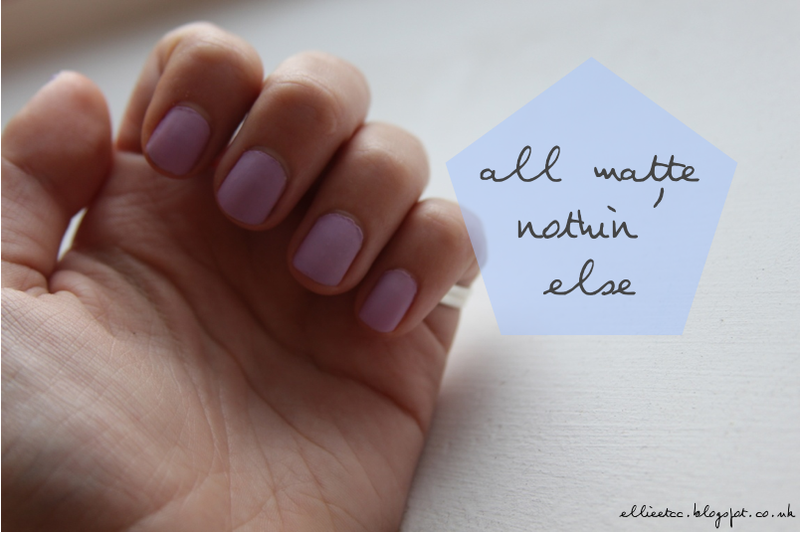 Have you blogged about any matte nail polish you've experimented with? 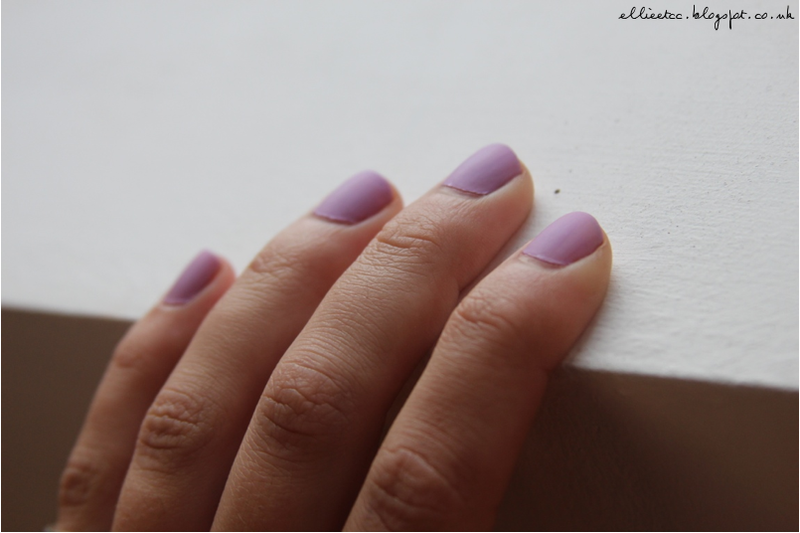 Or do you have any ideas for more experiments I can do with this top coat? Let me know below and usual!